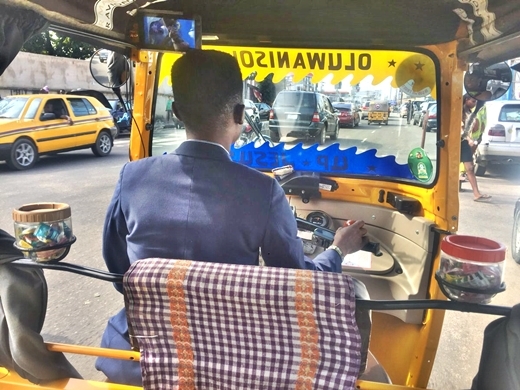 Here's a photo of an usual Keke man working in Lagos. According to lady, Alkeba Tata, the tricyclist was corporately dressed in suit, well shaven, and customized his Keke with cup full of sweets for his passengers. "Anything you find yourself doing do it well. The Keke driver is always dressed in suit, clean shave, clean Keke and cups of sweet for his passengers. He will go places for sure."